In the olden days, when sharply suited Mad Men still ruled Madison Avenue, times seemed to be simpler: a brand strategy and custom message was decided upon and then a well-considered media mix was set up. Tadaaaaa! The story of your brand has been sent into the world! No one ever used to talk back or criticize that story. But that was before. 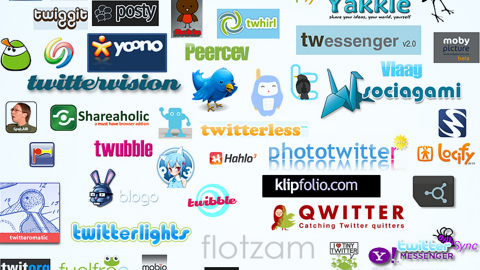 Branding nowadays has become more ‘democratic’, at least that’s what trend casters are saying. Advertising has more or less turned into a conversation. The brand equation has changed. Advertising + conversation = ‘convertising’. But what do trend casters mean by this? The democratic revolution – is your brand with it? Everyone’s a broadcaster these days, the media mix is just as diverse as the Internet is endless and the brand opinions and stories are more diffuse, individual and subjective than ever. 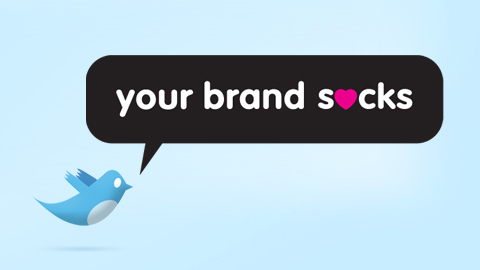 Every consumer that has a blog (and a lot of them do), a Twitter account (even more of them do) or a Facebook page (more than 1 billion do), can influence your brand’s perception. Fast. Here’s a little example: Postal Gold didn’t quite hit the jackpot a few years ago. The Dutch company Postal Gold is a local version of ‘Cash for Gold': you send them a golden ring and they send you cash. If that business model has you raising your eyebrows: they had the kind of money to air an ad during the Super bowl halftime, which is the most expensive airtime slot in the world. How about you? When a Dutch blogger questioned Cash for Gold’s honesty on his blog and tweeted the link to his article, he added the hashtag #postalgoldsucks. Suddenly he was messaged by the @POSTALGOLD_NL Twitter account with threats of legal actions. 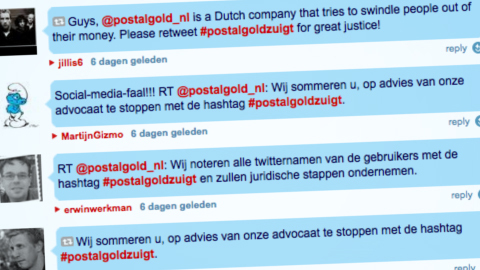 It wasn’t long until the #postalgoldsucks hashtag was being retweeted everywhere, which prompted @POSTALGOLD_NL to legally threaten all these other users, causing the situation to get completely out of hand. The @POSTALGOLD_NL account was quickly deleted. It’s even possible that the Postalgold account was fake (which was claimed to be the case afterwards), but it didn’t matter anyway. The brand name was tainted, fake or not. Carglass went through a similar situation a while ago. How can you protect your brand from such things? There’s a lot of complicated or – even worse – fatalistic talk about social media (“There’s nothing you can do about it.”) Brands can’t wait to be present on as many different channels as possible, often without thinking about the potential consequences. But your social media strategies don’t have to be “radical”. The Brandhome promise of increasing the general knowledge of your brand is more relevant. A brand that’s known in the right way will be less troubled by the multiplying opinions in the blogosphere and Facebook cloud. Before thinking of upping your online presence, be sure about the way you will come across: identity and strategy should be firmly in place before you implement anything. Postal Gold fell prey to this tiny riot because the general knowledge of their brand wasn’t up to par and was much easier to influence. The more thorough the brand knowledge and identity, the more it will align with the brand perception. “Democratic”, doesn’t just mean: “We value multiple opinions.” It also signifies that brands are less ‘distant’ and become a bit more ‘human’. Brands that are prepared for this and know what their identity is when facing the world will be better suited to handle this evolution.